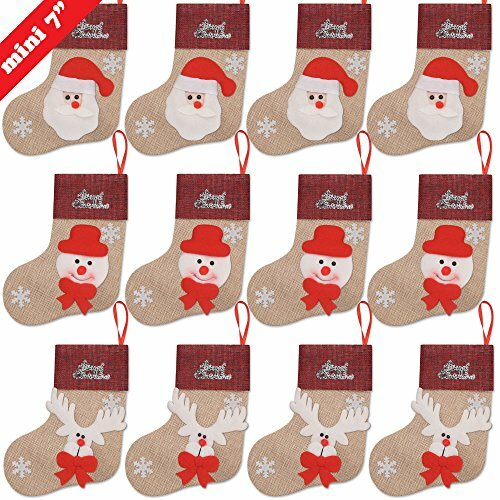 12 pack mini Christmas stockings. Adorable rustic 3D santa/snowman/reindeer silverware pockets and utensil holders make your table setting look festive. 12 pack bulk set. 7" tall. Each stocking has a 2" ribbon hang loop for easy display. Ready to hang on stocking holders.